Distinguished economist Deirdre McCloskey, University of Illinois at Chicago, will debate with discussants: Dartmouth Economics Prof. Doug Irwin and Government Prof. Russ Muirhead. Co-sponsored by Nelson A. Rockefeller Center and the Political Economy Project. There is a growing sense across the rich world that capitalism does not work as it should. In many countries, wages have barely grown over the past decade, while the rich seem to be running away with all the gains. Many economists argue that the common factor explaining all of these ills is that firms have too much market power, allowing big business to charge higher prices to consumers for poorer service, and also get away with paying their staff lower wages. Others argue that capitalism is a process of "creative destruction" where firms must serve consumers with better goods at lower prices or face extinction due to competition, and in the process give to rise rising standards of living. So, is capitalism really rigged in favor of the elites, or is it government regulation that promotes big business? What reforms should we be considering? Is socialism an acceptable alternative to capitalism? 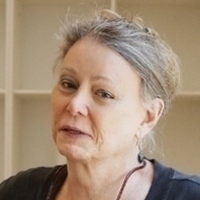 Deirdre N. McCloskey has been since 2000 UIC Distinguished Professor of Economics, History, English, and Communication at the University of Illinois at Chicago. Trained at Harvard as an economist, she has written 16 books and edited seven more, and has published some 360 articles on economic theory, economic history, philosophy, rhetoric, feminism, ethics, and law. She taught for 12 years in Economics at the University of Chicago, and describes herself now as a "postmodern, free-market, quantitative, Episcopalian, feminist Aristotelian." She is best known for her trilogy The Bourgeois Virtues: Ethics for an Age of Capitalism, Bourgeois Dignity: Why Economics Can't Explain the Modern World, and Bourgeois Equality: How Ideas, Not Capital or Institutions, Enriched the World. Other best-known books were The Rhetoric of Economics and Crossing: A Memoir, which was a New York Times Notable Book. Douglas Irwin is John French Professor of Economics at Dartmouth College. He is the author of Clashing over Commerce: A History of U.S. Trade Policy (University of Chicago Press, 2017), which The Economist and Foreign Affairs selected as one of their Best Books of the Year. He is also the author of five books and many articles on trade policy and economic history in books and professional journals. He is a Research Associate of the National Bureau of Economic Research and an non-resident Senior Fellow at the Peterson Institute for International Economics. He worked on trade policy issues while on the staff of President Ronald Reagan’s Council of Economic Advisers and later worked in the International Finance Division at the Board of Governors of the Federal Reserve System in Washington, D.C.